Reliance Jio has had a soft launch of its 4G services last month that was limited for its employees. 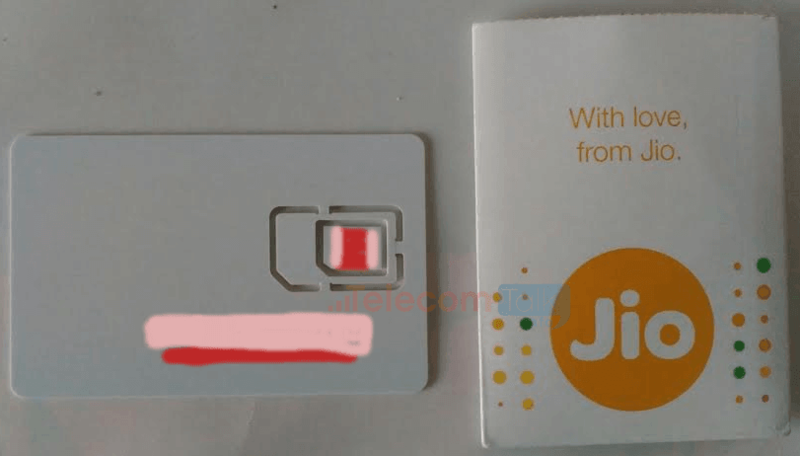 As promised at time of the soft launch, Reliance has started giving out Jio 4G SIM cards to its 35,000 odd employees, and we’ve managed to obtain a first look at the Jio connection. The Jio SIM card that was given to Reliance’s employees comes preloaded with data, voice, and SMS. 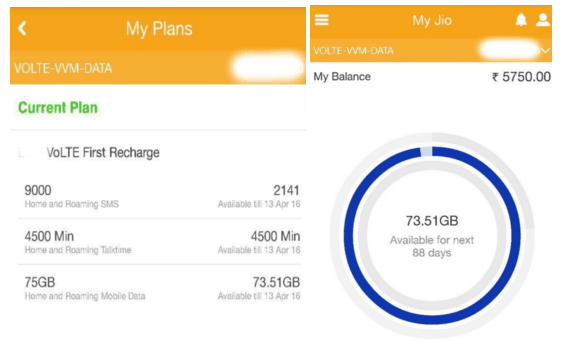 Being a 4G service provider with primary focus on data, Jio has also provided 75GB of 4G data with every connection. Apart from the data, the SIM card comes bundled with 4,500 mins of home and roaming talk-time as well as 9,000 SMSes. The validity of the bundled freebies is valid till the 13th of April 2016 indicating that the company plans to launch commercial services before April. If we calculate with a rate of Rs. 100/GB, Jio is giving away Rs. 7,500 worth of data with each connection. Taking the free voice minutes and SMSes into account, Jio connection comes bundled with almost Rs 10,000 worth of freebies. 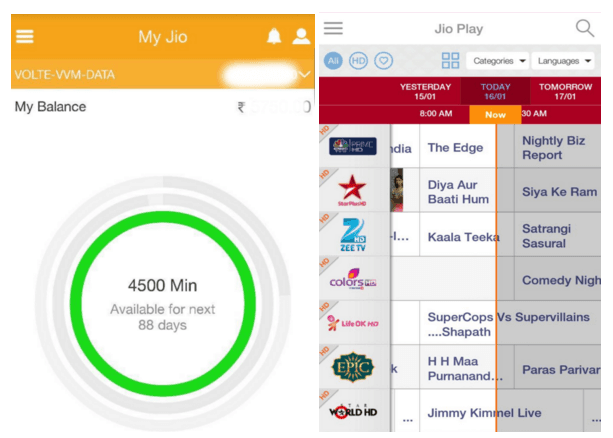 Digital content is the primary focus of Jio, and the connection comes loaded with Jio Apps. 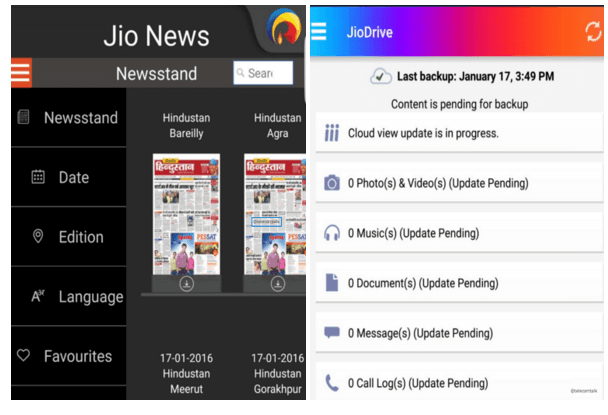 We are already familiar with Jio Apps like Jio Play (Live TV), Jio Mag (Magazine), Jio News (News), and Jio Beats (Music). 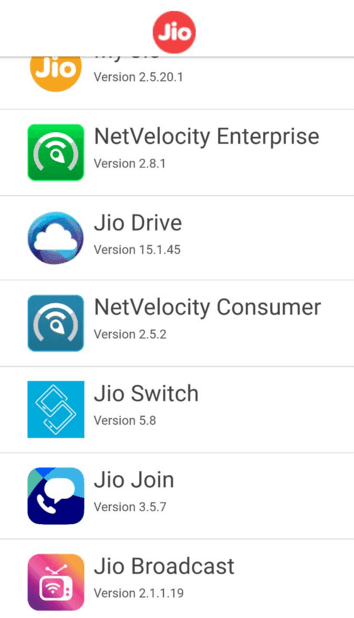 However, we came across few new apps like My Jio, Jio Broadcast, NetVelocity, and Jio Switch. The apps are only available for download through the Jio App Store. My Jio App is similar to My Airtel app, which provides you with the account details and balance information. While Jio Broadcast lets you connect your phone with your TV or projector. NetVelocity is the official speed test app for Reliance Jio users. Jio Switch is essentially a file sharing app which works more like Xender, SHAREit, or SuperBeam. Is Jio stress-testing its network before the commercial launch? 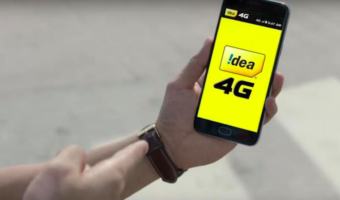 Jio’s generous offer of 75GB free 4G data with each connection is aimed at stress-testing its 4G network before its commercial launch. With a limited validity of just 3 months, Jio employees will be forced to finish this free data before the launch. This would help Jio analyse its 4G network readiness under heavy load and avoid possible glitches before the commercial operation starts. 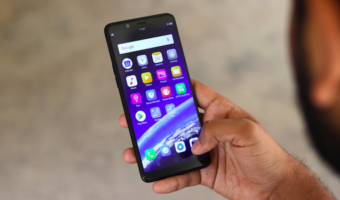 Further, a lavish 75 hours talk-time bundled with each connection will help Jio test VoLTE technology, which is deployed for the first time in India.